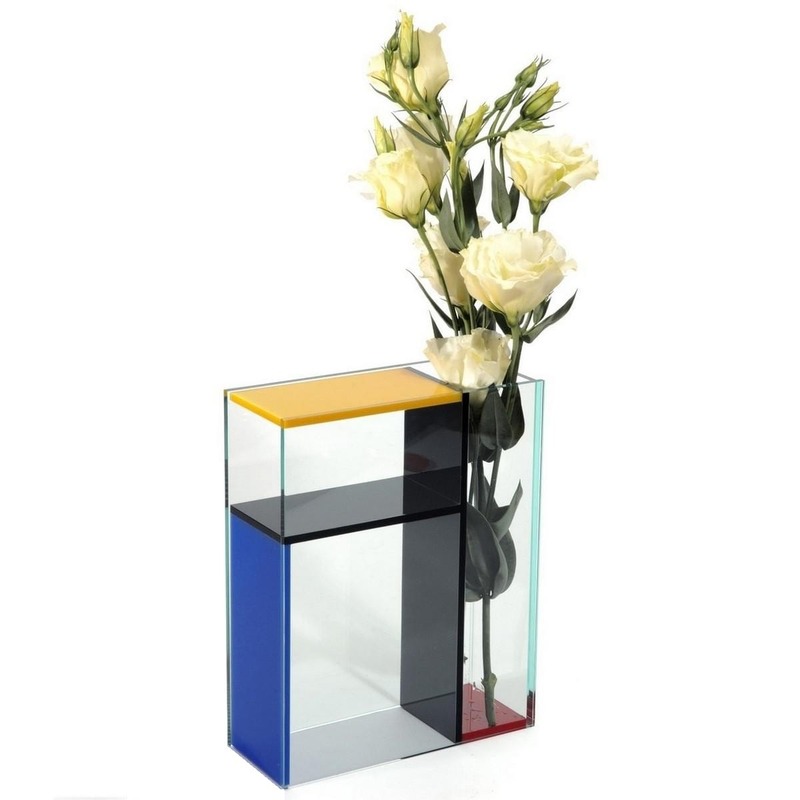 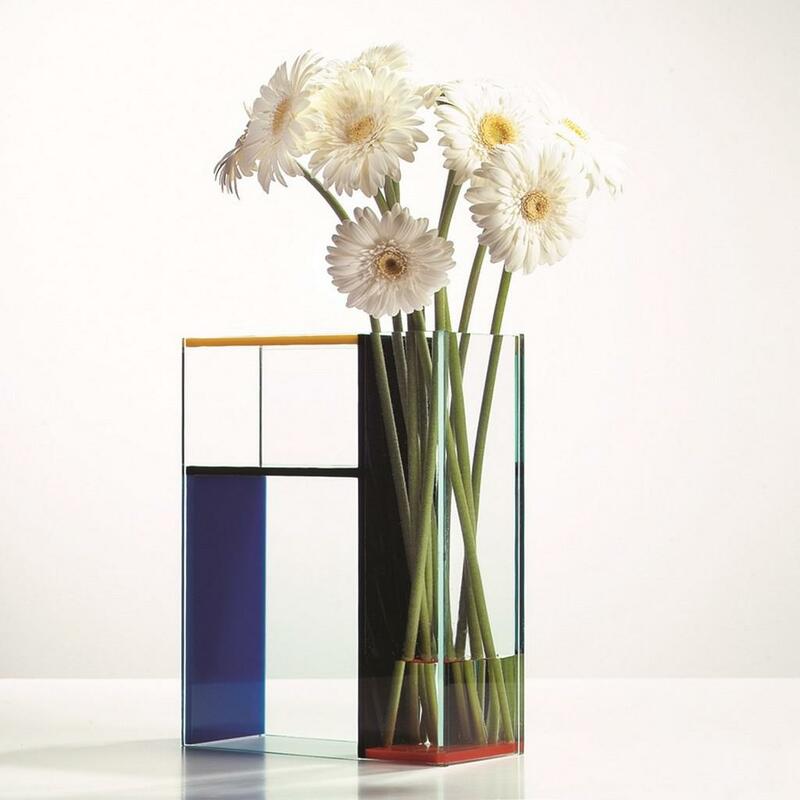 The coloured Mondri Vase was inspired from the Dutch artist Piet Mondrian (1872-1944) and reminds us of a three-dimensional version of his paintings. 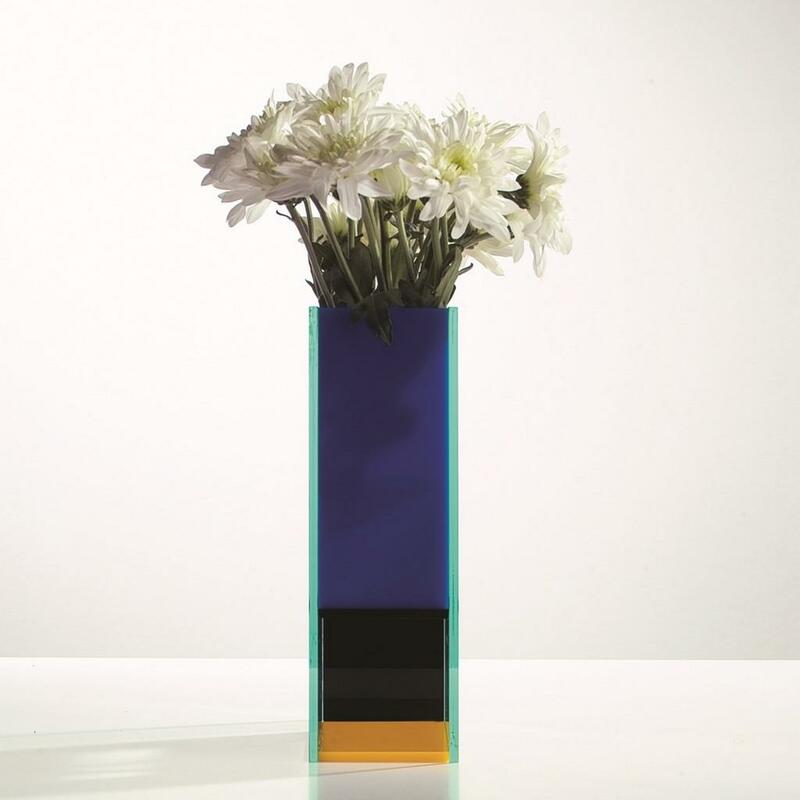 Apart from its artistic and almost sculptural expression, the Mondri Vase can be turned and twisted in order to act as three different vases. 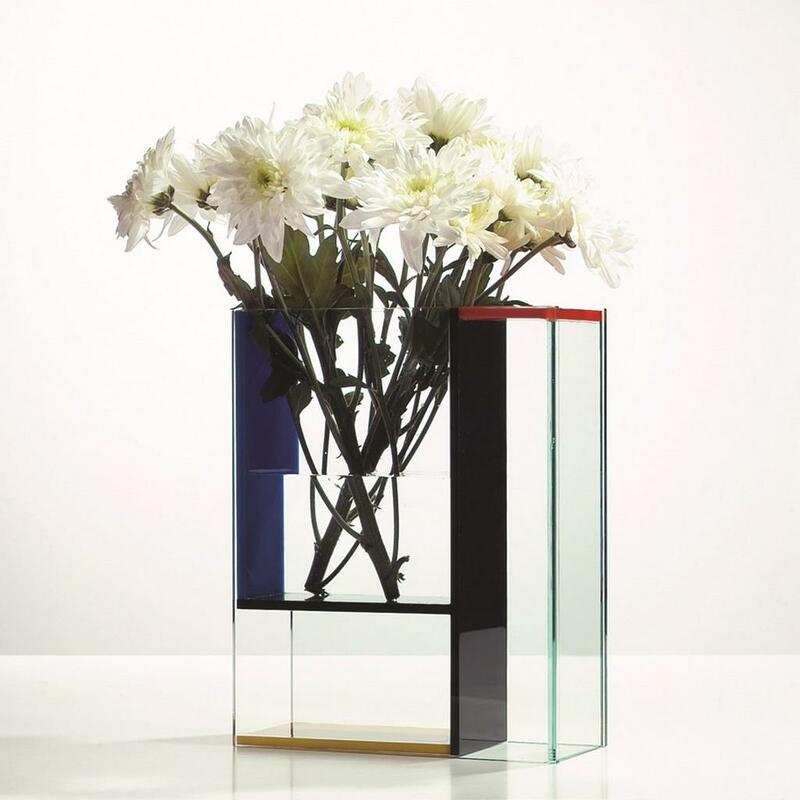 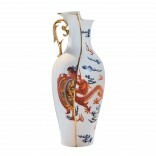 This will make it easy to find a vase fitting your flowers. 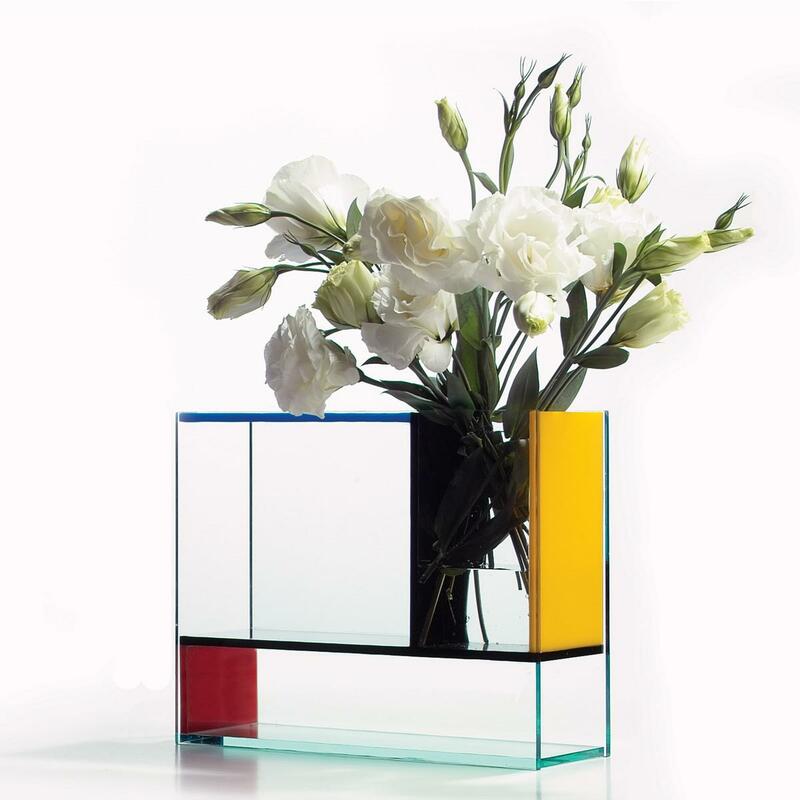 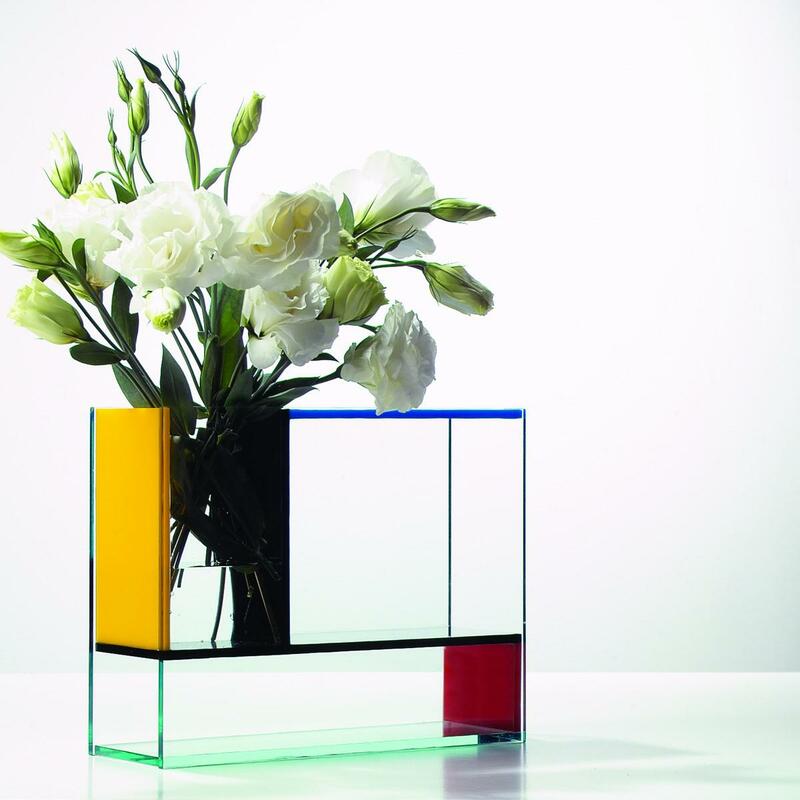 3 in 1 Mondrian inspired vase. 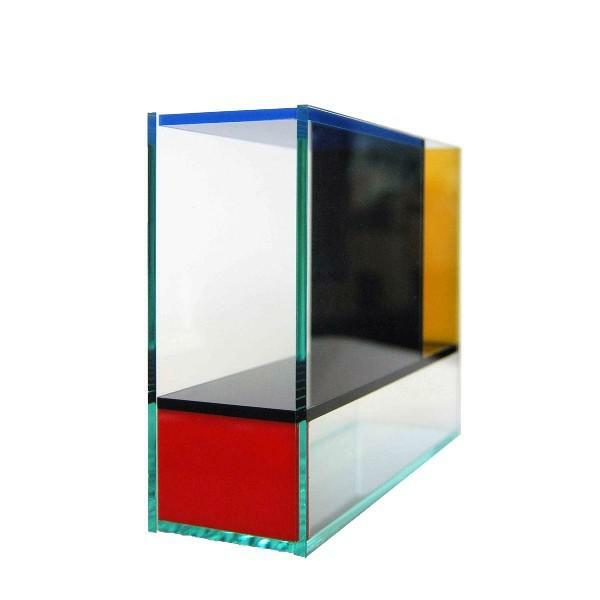 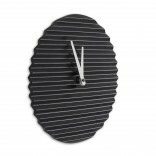 Dimensions: Width 24 x Height 19 x Depth 8 cm.